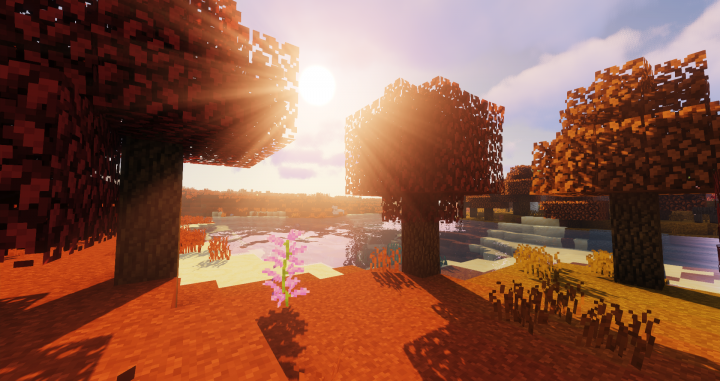 Jicklus Orange is an Autumn themed texture pack, with beautiful oranges and reds built into every landscape. 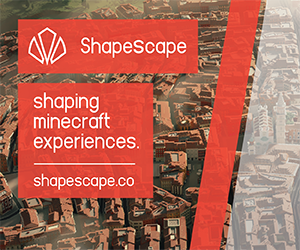 The pack resembles a classic Minecraft feel, mixed with a rustic style, and lots of orange. Many updates to come! 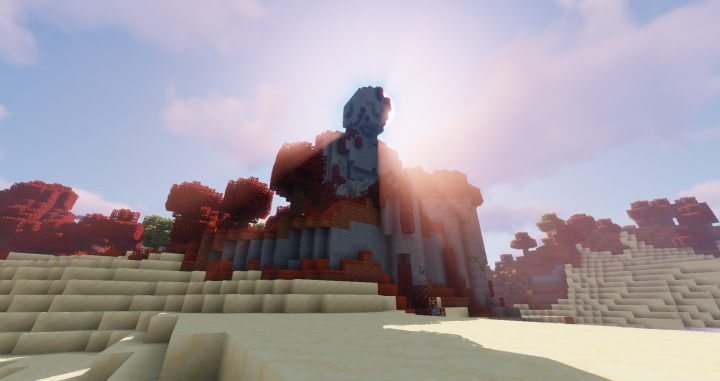 I recommend using Sildur's Shaders to accompany this pack, to really bring it to life. Use Optifine for my varied mob textures! If you have any feedback or suggestions, please comment down below! I'd love to hear what you guys think! Please let me know if there's anything you don't like! If autumn isn't your season then try out Jicklus Green! Cute pack but the inventory is so bright! 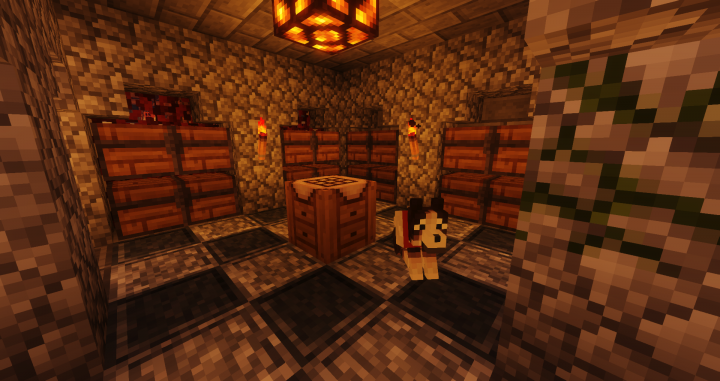 The furnace and crafting table UI doesn't really fit in with the overall resource pack, but I can see that it is truly well made. I could be wrong, maybe your intention was lost on me, and it actually does fit. Either way, good work. hi MrManiac3! I get that the UI may not be to everyone's taste. For me, I just really like the idea of the interfaces representing what you're doing. If it's something you really don't like, you can always swap them out for the default UI! Thank you for the feedback though! Hey, thanks for responding. 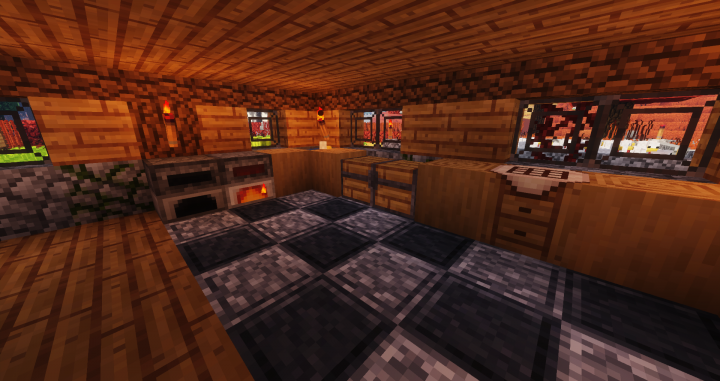 I like the idea of the crafting table or furnace being displayed in the UI, but it seems weird for the texture of those UI to have a far higher resolution than the crafting table and furnace do in the world. I think you should keep it as is, if you like it. I personally probably won't be using the pack, but I like it. I especially like the tree textures, both the wood and the leaves. The lighter colored barks remind me of trees that exist in my part of the world. The acacia bark reminds me of ponderosa pine when the bark of the tree is grayish. The older ponderosas turn a yellowish color when they shed their young bark, and their new bark is exposed. I may actually keep this pack in mind for worlds I might make where I might want trees like this. Hi MrManiac3! Thanks for clarifying! I possibly would have left the textures untouched but unfortunately they didn't size up correctly with the way the UI is laid out, so I thought this would be the next best option. 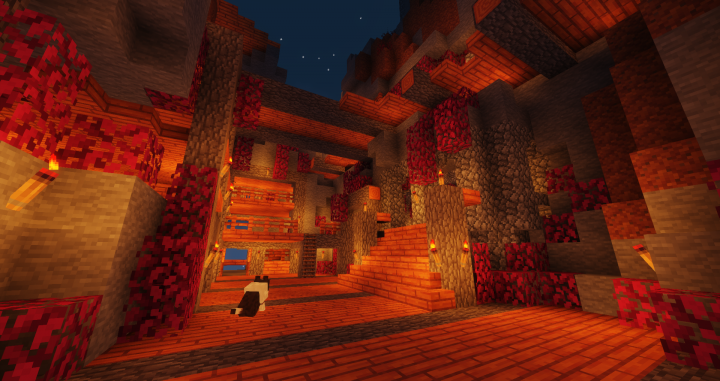 I love this resource pack in many ways than one. It's just amazing how good for example the Oak log looks. The grass path is amazing as well with the leaves that are on it. It's my favorite resource pack to date although I have one criticism that is the inventory slots are almost unrecognizable from the background color. They both have almost the same shades of red and that makes it very hard for me to see my inventory slots. As I said great resource pack and I hope the creator sees this and maybe takes this into consideration. 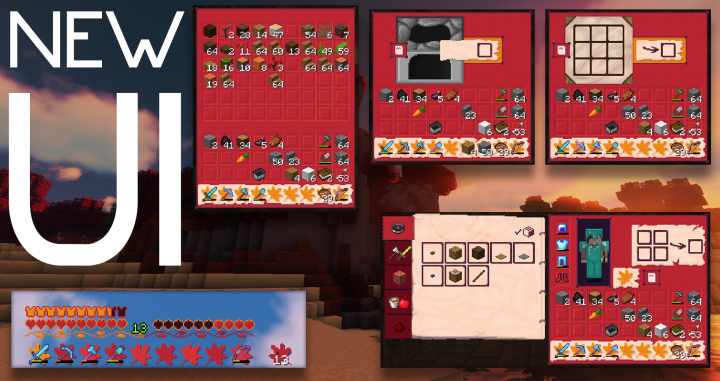 Just commenting to let you know I've updated the inventory slots! They're still quite similar to the originals, but I've tried to define them more. I'd love to know what you think! Hi Frugo! I really appreciate the feedback and I'm so glad you like it! I think I'll take a look at the UI and see what I can do, thanks for bringing it up! Been through your resourcepack. I do see potential, really much of the resourcepack is great! The gui's livable, but I'm not that fond of the mossy textures in the resourcepack, neither am I of andesite. But it's looking good! Hi HeadlessAce! I've since updated the mossy cobblestone and mossy stone bricks to more traditional textures. I hope these are better! I really think that worked out, great! Much thanks for the feedback! I'll have a look at the mossy textures. Unfortunately the andersite stays though! 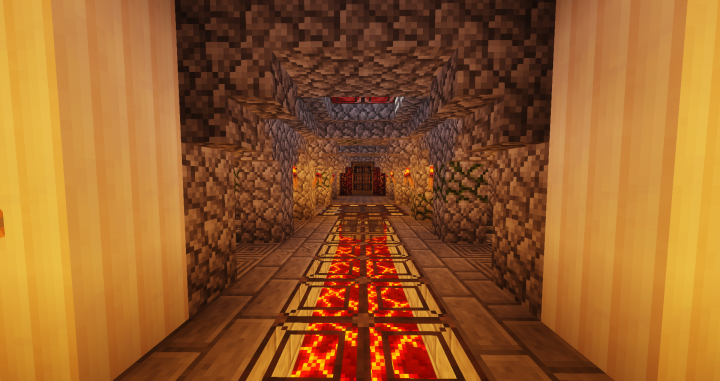 I made it to contrast the diorite so you could have a nice stone checkered pattern. 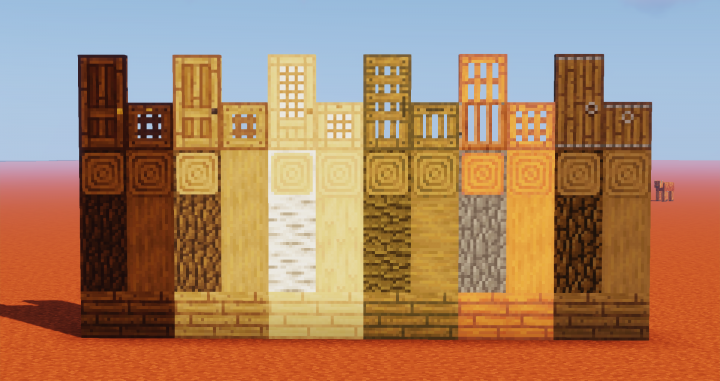 Nice texturepack! I like almost everything you're showing on the pictures and I am considering using it for minecraft, but the GUI is kind of setting me off. just try it out! but if you don't like you can always replace it with the default ones! Im having trouble getting it to work. I've downloaded it 3 times now and it doesn't show up in the resource pack folder. Any advice? I have some other packs downloaded, so it's not that im a noob. Nevermind, I got it working. 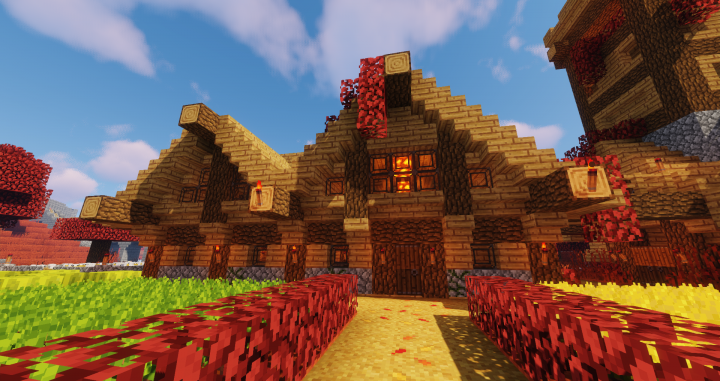 I love your texture pack! Glad you got it fixed! I imagine you just didn't take it out of the zip folder? I'm really happy you love it!